Bindu Ananth is the co founder & chair of Dvara Trust (formerly IFMR Trust). She is a Director of all investee companies of IFMR Holdings. 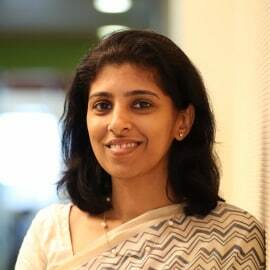 Prior to this, Bindu worked in ICICI Bank’s microfinance team between 2001 and 2005 and was head of the new product development team within their Rural Banking Group in 2007. She currently serves as a Nominee Director for National Stock Exchange on the Board of Computer Age Management Services and as a member of the Executive Committee of CGAP. She is a member of the Advisory Boards of Columbia University’s India Initiative and Equal Community Foundation. In 2017, Bindu was featured by Forbes as one of India’s leading women leaders.